Michael: This interactive lesson will cover several classic turnaround licks. 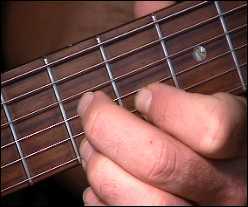 A "turnaround" is typically a musical phrase that plays over the ending or even beginning of a blues progression. 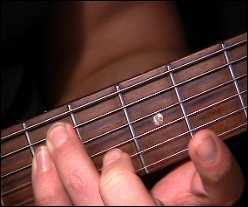 These types of licks are essential to any musician playing the blues. In this lesson you'll several exercises that will help you add an arsenal of new licks the will help start you on the path of becoming a great blues player. 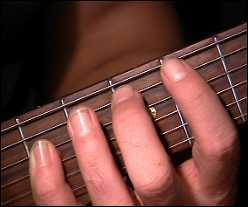 You play the turnaround over the last chord I (A), notice the phrase actually ends on the V (E) . We'll target starting the turnaround on the I (A) and resolve the phrase on the V (E). 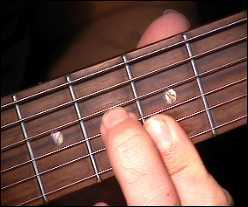 Michael: Turnaround 1 uses a descending line on the 1st and 3rd strings. This is a classic lick used by many great blues players. Michael: Here's the notes are highlighted and then a Dylan style example. 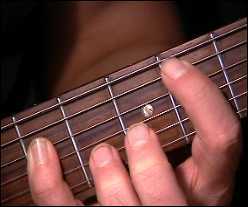 Michael: Now we can play a counter pattern were we descend the walking bass line. Michael: I hope you've found these turnarounds to be helpful and something you'll use in the future. Try your own variations and see what you come up with. Keep practicing!